1. Starfire- Almost definitely impossible, especially if TNT picks up the Not Teen Titans show, which sounds kind of awful. 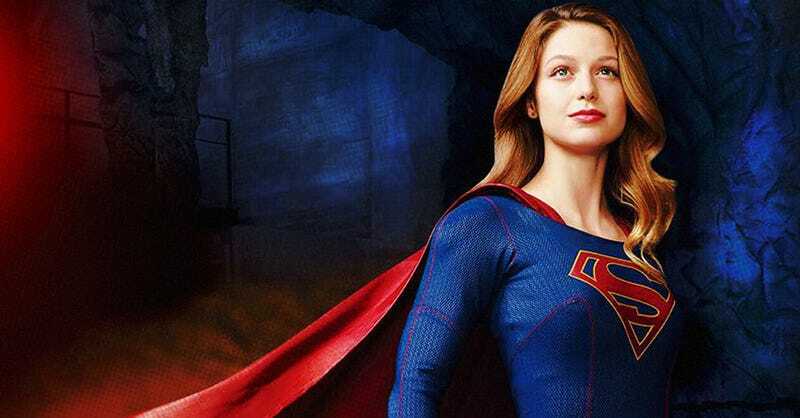 Supergirl’s focus on aliens and female superheroes make this a better fit for the character than a Teen Titans show that won’t even call itself Teen Titans. I’m not saying Supergirl is going to sweep the Emmys next year, but man that sounds bad. 2. Martian Manhunter- What do you do when you have a show that mentions Superman but can’t use Superman? You use Martian Manhunter! Cyborg seems to have forced him out of the movie side of the DC Expanded Universe, so he would be a great fit here. Supergirl would have a super powerful alien mentor without WB getting mad because they think everyone is stupid and can’t deal with two different actors playing Superman. Even though we are going to have multiple versions of The Flash. Anyway, Martian Manhunter is an awesome character and his big live action moment should not be Smallville. One of the things that I liked from the Justice League Unlimited cartoon was the friendly rivalry between Stargirl and Supergirl, with Stargirl always being overshadowed. It was brief, but I think it would be a fun dynamic to play with in the show. 4. Blue Beetle- If WB won’t let Arrow use the Ted Kord version of the character, then the Jaime Reyes version of the character would be a great fit on Supergirl. Plus The Reach are pretty good villains to have in your back pocket if the show’s FX budget can handle it. 5. Steel- Either John Henry Irons as another character to do Superman things without using Superman, or Natasha Irons as a superhero friend and occasional partner. 6. Zealot- The Wildstorm characters got the short end of an already short stick when the New 52 was launched. If Supergirl is going to be fighting aliens all the time, Wildstorm provides some great options. And with Wonder Woman unavailable, Zealot would be an interesting choice as an older hero that Kara could encounter, plus she would have a much darker edge than most DC heroes. In all honesty I think I have a better chance of becoming a superhero in real life than any Wildstorm characters do making it out of the comics. But it is nice to dream. There is no chance of this happening, which is just as well. My head would explode in a shower of joy and magic sparkles. That’s my list. I would have included the Green Lanterns, but with Flash hinting at Hal Jordan last season and the announcement of the Green Lantern Corps movie for 2075, we probably won’t get any magic space rings on Supergirl. In fact I would not bet on any of these characters appearing. I personally think CBS would be happier with something closer to Lois and Clark than The Flash. But I’m really hoping I’m wrong. Please feel free to add any heroes you would like to see or plans for appearances of the characters I listed that I might have missed. I saw Barbara Gordon on the Not Teen Titans list, but that just depresses me so I chose not to think about it.